Color coated aluminum is also a classification of aluminum product, it can be produced as coated coil and coated sheet type. Color coated aluminum has stable performance, not easy to be corroded. Generally, the surface layer can be guaranteed to not fade for at least 20 years due to its special treatment, and it has low density and high hardness. The weight per unit volume is the lightest among metal materials. When people are looking for color coated aluminum for sale, there are several skills to judge the quality of color coated aluminum. If the quality of the color coated aluminum is qualified, the surface can not have obvious indentation, leakage coating or damage to the penetrating coating, and ripples, scratches, and blisters are not allowed. These are easy to see by ourselves, the most important thing is that you should carefully check the color difference, if you do not pay attention, it is not easy to see, but it will affect the final decorative effect. 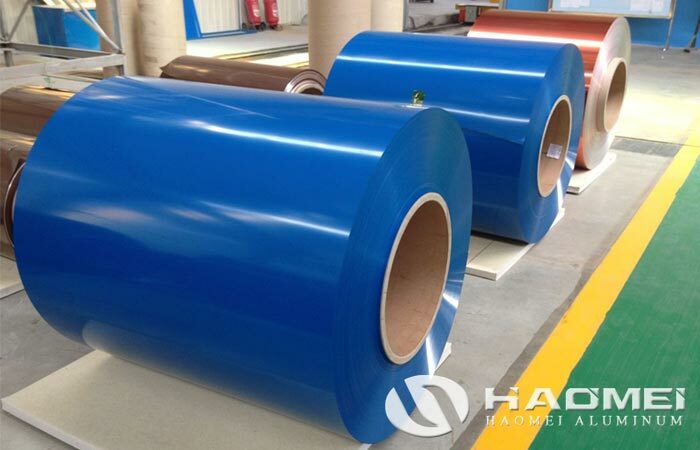 In recent years, color coated aluminum coil have received more demand in the industrial area. Whether it is used as materials for doors and windows or decorative handicrafts, it is well qualified. Compared with other metals, aluminum metal also accounts for a large amount of reserves. Therefore, the construction industry, the electronics industry and the lighting industry are all in the need of coated aluminum coils, which also provides a great deal of space for its development.